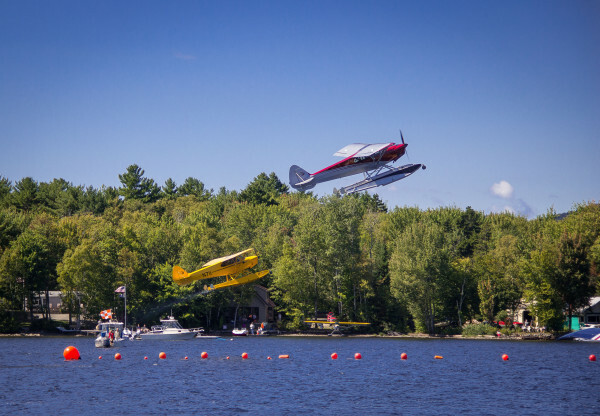 Two planes take off in unison during the spot landing competition at the International Seaplane Fly-In on Moosehead Lake in Greenville in September 2014. As recent mill closings make headlines, there is growing — sometimes grudging — recognition that tourism is a crucial part of any strategy to revitalize economically distressed rural Maine. The BDN framed the challenge in a March 2 editorial, “Boosting tourism in rural Maine will take more than a national park.” One thing it will take, by stakeholder consensus, is universal access to broadband Internet and reliable cell phone service. There is a lot of legislative buzz this session around the imperative to extend rural connectivity and increase urban access speeds. Thirty-five broadband bill titles were submitted. Given this political momentum, it is worth reflecting on the Internet’s vital role in 21st century tourism and the importance of “last mile” access for rural tourism businesses and host communities, from Bethel to Eastport. Broadband and cell phone access are necessary, though not sufficient, steps in making rural Maine’s tourism businesses and destinations appealing to sophisticated, high-income, overnight visitors — the key target market identified by Maine’s Office of Tourism. Providing high-quality tourist services is one key to creating more quality tourism jobs. And beyond tourism, broadband and cell phone links are critical amenities in attracting mobile entrepreneurs, highly educated young people and second home owners to rural Maine. Why are strong telecommunications links so important for tourism? The short answer is that discriminating, high-spending travelers demand them. They browse the web and social media for information about tourist businesses and destinations and expect instantaneous connections for reservations and inquiries. Paradoxically, even when their goal is to “unplug” in a beautiful natural setting, most don’t really want to “get away from it all.” Staying in touch with the family, business and financial markets is taken for granted. Destinations that fail to meet this expectation face a competitive handicap. Of course, rural businesses in general — not just tourism providers — want access to high-speed Internet and reliable cell phone service. David Vail’s 2010 report, “Amenity Investments and Tourist Destination Development,” studied three rural destinations: Franklin County (Rangeley-Carrabassett Valley), Piscataquis County (Moosehead-100-Mile Wilderness) and Washington County (Bold Coast-Cobscook Bay). An online survey elicited leaders’ and stakeholders’ opinions about the critical investments needed to enhance destination appeal and their evaluations of current state support. Among nine investment categories, Franklin and Piscataquis respondents gave their lowest ratings to state investments in Internet and cell phone service. Nearly 90 percent rated state support poor or just fair. In Washington County, state support for telecommunications ranked second lowest — exceeded only by weak investment in roads and transportation. The catch is that corporate providers, like Time Warner Cable and FairPoint Communications, see no profit in extending fiber optics to remote, sparsely populated areas. So the state must be involved, and several remedies are being explored at the State House. Most of these approaches are “incrementalist”; that is, focused on giving slightly more funding to the ConnectME Authority. One proposal would authorize ConnectME to provide more grants so additional communities can plan for extending fiber-optic networks, creating wireless nodes and boosting connection speeds. Other bills propose small bonds to boost ConnectME’s funding. Incrementalism, however, has fundamental limitations: Few rural communities are prepared to compete for limited ConnectME funds, and few low-density, low-income communities can afford broadband investment on their own. With incrementalism, it will take years, perhaps decades, to connect all of Maine. Some progress is better than none, but ultimately rural Maine needs a “big push,” analogous to the New Deal’s Rural Electrification program that transformed life in rural America. The big push strategy’s basic premise is that broadband is critical for rural economic competitiveness and also a public good to which all should have access. Rural electrification relied on community-level planning, but it was also backed by massive public investment. Given today’s political climate, it is naïve to imagine that Maine can quickly raise the estimated $1.5 billion-$2 billion cost of universal rural broadband plus higher connection speeds. Investment on that scale will have to occur in stages. But it should be inspired by the New Deal’s commitment to link every American to the grid. High-speed Internet is a crucial competitive tool for rural tourism — it is also a key to the vitality of Maine’s rural communities. David Vail, Adams-Catlin Professor of Economics Emeritus at Bowdoin College, chairs the policy committee for CEI, a non-profit community development corporation based in Wiscasset. Carla Dickstein is CEI’s senior vice president for Research and Policy.